Vintage solid wood chest of drawers. 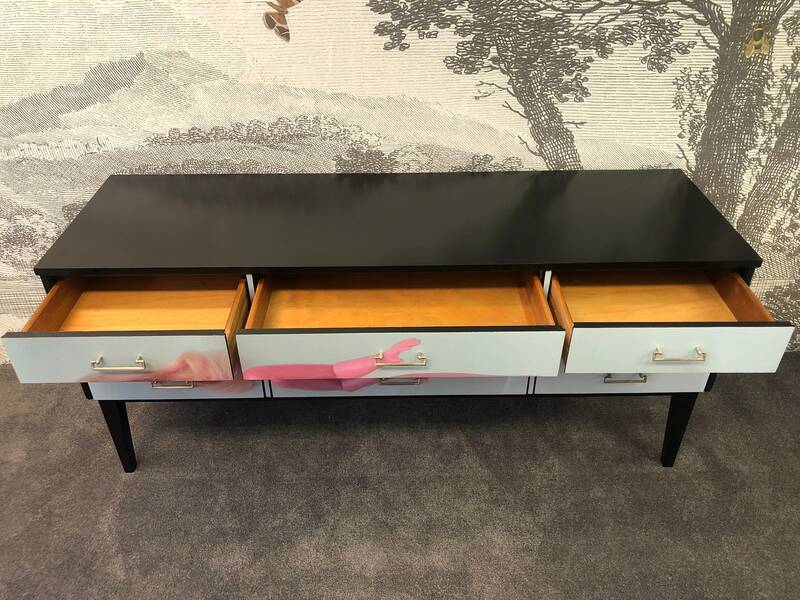 This piece consists of six drawers. Three shallow at the top and three deeper drawers at the bottom. That all sit on wooden runners and have dovetail joints. 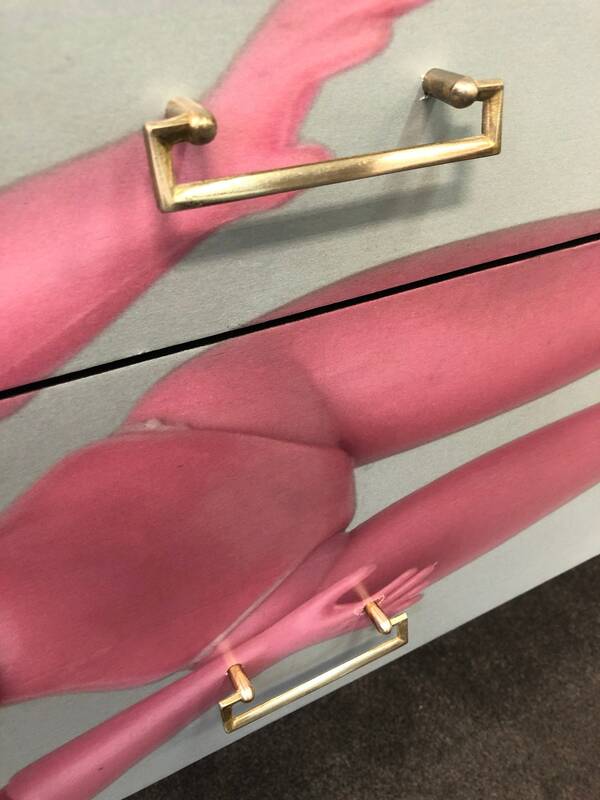 The brass knobs are original to the piece. 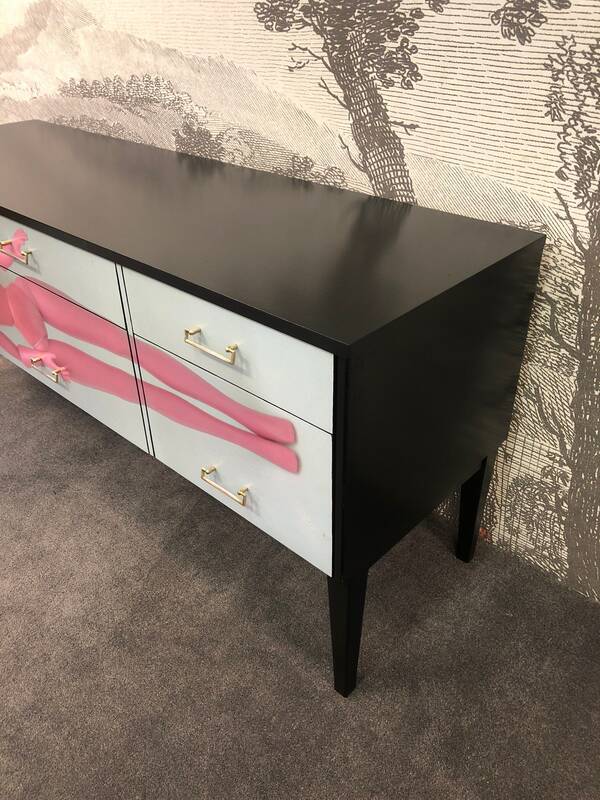 It has been painted in Coal Black by Fusion Mineral Paints and the drawer fronts decoupaged in our own Sindy print. The whole piece has been sealed in layers of a satin finish varnish to give it durability and wear.